10 years before getting his name, Halfway Jumper, or 半跳, had taken the great leap of faith. So naturally, having lived the life of Torah, he was not surprised that when he awoke one day to find himself dead, there appeared before him a grand luminous stairway arcing up into the heavens. As he arose, he saw the pious Lubavitchers following Moses up, out of mundane space and time and into the eternal cycle of the jewish year. As he followed, he could feel himself entering into the company of the entire host of Israelites from all times and places joining the journey. Turning about in horror, he plunged off the stair and away from the light. 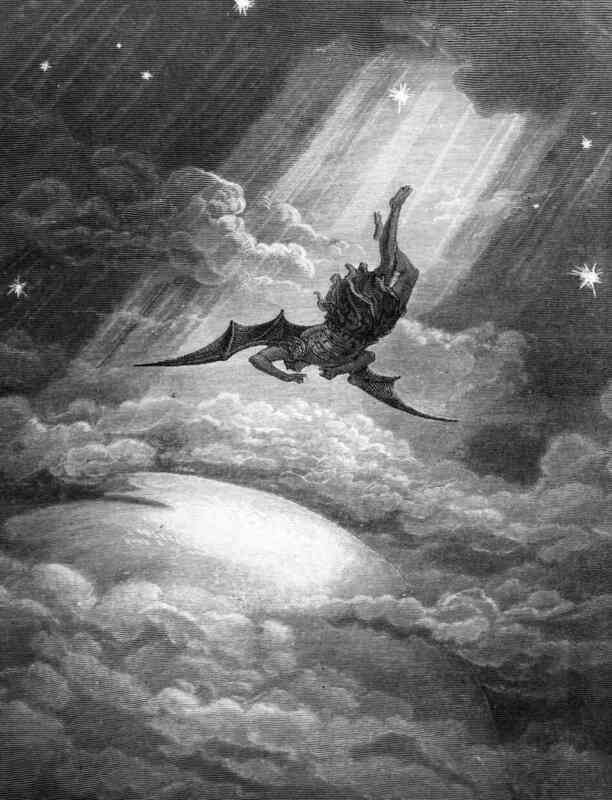 Falling, falling, further and faster into the darkness, he was surrounded by other falling, writhing, tormented souls. Ahead, he recoiled from fiery, daemonic forms! Too many snarling heads and terrible limbs flashing with claws and strange implements! And there! In that deepest central darkness, a bloody vision of Meggido and the end of all things! But wait! Softly behind him, like the impossible echo of a 30 year old memory, he heard the gentle whisper, “Avalokitesvara.” Spinning about violently, he was transfixed by the the Lady in White beaming down at him. No, not beaming. More like, laughing? Yes, laughing! Not like a gentle, maternal, empathetic chuckle. More like bust-a-gut, Upright Citizen’s Brigade, trying-not-to-pee laughing out loud! And as her powerful, unrestrained laughter echoed around them, he looked up and saw the entire host of angels and daemons ranged around them in a great celestial sphere, all laughing, laughing, laughing! Trying to regain her composure, the somehow still perfectly dignified White Lady explained, “Foolish, almost western mortal. Look about you. Those aren’t angels and those aren’t daemons, but holy dharma protectors who brought you here by the shortest possible path. Halfway to Heaven and halfway to Hell, we shall all call you Halfway Jumper, or 半跳. Now go and preach this dharma.